1- Turn off and put away your mobile devices. This step helps to ensure you remain focused throughout your studying, so turn off your devices. That includes your phone, TV, tablet, and even your computer (if you don’t need it). Physically put them away if necessary—you’ll be able to check Whatsapp and nsukgist later. Having your mobile devices nearby just means constant temptation to check your email, texts and social media. 2- Organize your study space. Make sure you have enough space to spread your textbooks and notes out. Have you got enough light? Is your chair comfortable? Are your smartphones out of sight? 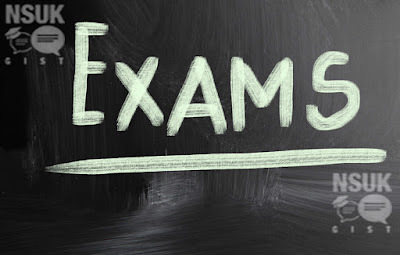 3- Prepare your study materials before you start studying. For the majority of students, studying is a chore. And like any chore, the last thing you want to do is make it harder than it needs to be. If you have to print out handouts, bookmark textbook pages, or ensure that all your pens actually have ink in them, do that before starting your study session. Ideally, have everything prepared the night before, or at least a few hours ahead of time. There’s no use in wasting time trying to find missing notes or locating a new highlighter in the middle of your studying. 4- Aim to begin studying at least one month in advance. 5- Practice on old exams. Get together with friends for a study sessions, you may have questions that they have the answers to and vice versa. As long as you make sure you stay focused on the topic for an agreed amount of time, this can be one of the most effective ways to challenge yourself. While you may think it's best to study for as many hours as possible, this can actually be counter-productive. If you were training for a marathon, you wouldn't try and run 24 hours a day! Likewise studies have shown that for long-term retention of knowledge, taking regular breaks [nsukgist] really helps. Everyone's different, so develop a study routine that works for you. If you study better in the morning, start early before taking a break at lunchtime. Or if you're more productive at night-time, take a larger break earlier on so you're ready to settle down come evening. 8- Know when to stop studying. "Within 12 to 24 hours of the test, it's time to stop studying," "You're not going to learn a lot of new content. The likelihood is much higher that you're going to stress yourself out and confuse yourself. For the last minute studier, short notes can be a good resource. They can earn you a few more points on test day, and it's a much healthier thing to do than starting on page one of the textbook." 9- Get a good night’s sleep. It may be tempting to cut back on sleep in order to make more time to study (hello all-nighters nsukgist), but according to several studies, this is counter-productive if staying focused is a priority. Drowsiness will only prevent you from absorbing information to the best of your ability. Try and get at least 7 hours of sleep per night to avoid suffering any academic shortfalls the next day—and to avoid falling asleep during your exam. 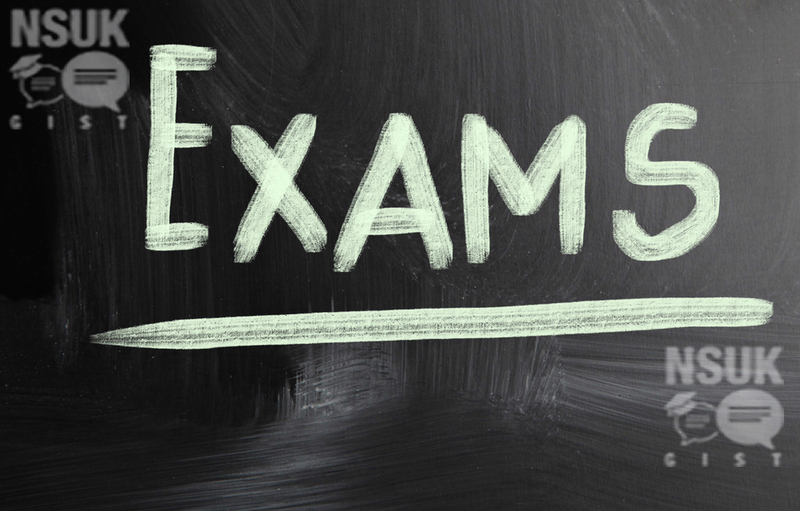 10- Plan your exam day. If you’ve got any special studying techniques, share them in the comments below!